Welcome to the first of many Inception blog posts...it's fair to say that I am in love with a film that I haven't even seen yet. In this edition, the trailers will be looked out, and you will discover how cool they are and why this film won't be able to flop (hopefully). EEEEEE!! Christopher Nolan!! He's at it again!! His last film was only The Dark Knight, which was pretty successful...and he has to make another movie to match it. Will Inception be it? I sure hope so. Lots and lots of roads!! Cars on them!! In a city!! A vibrating glass of water!! How they are all connected is beyond me, but the main theme of this trailer is defying gravity. My friend smartly said that the spinning top has something to do with the laws of motion which could be a big factor in this movie. But then again, this trailer paints a completely different picture than the third one. It doesn't illustrate the dream like state that this movie is really about. However, you can understand that because no one knew much about this movie back then. In an Empire magazine they said that the plot of this movie was "locked away with the Colonel's eleven secret herbs and spices." So you weren't expecting a trailer on why the chicken from KFC tastes so good, were you? You were just wanting to see it for yourself. Ah! There's talking in this one!! Though it's still really short and doesn't tell us anything concrete about the movie, it introduces the 'idea'. "What's the most resilient parasite? An idea." What that means, some will never know. However, we now know that the movie has something to do with ideas: how we create them, discard them, work on them. "A single idea from the human mind...can build cities." Cities folding on top off you...the stuff of dreams. What's creepy is that you can see the cars moving. Honestly, I have had many dreams just like that. And, Ellen Page is introduced in this trailer, with Leonardo giving her a lecture about "never recreating from your memory, always imagine new places." There is so much going on in this trailer, it had to end with a scene like the one pictured above. Does it kind of remind you of Titanic?? So what I have gathered from this trailer is that a single idea puts the world in trouble and Leonardo will steal it. Which makes it the ultimate heist movie. This trailer almost made me cry the first time I saw it. It makes the movie look mother f***ing awesome. There is absolutely no way somebody would not want to see this movie after seeing this trailer. You wanna know how many times I've watched this trailer? More times then I have seen The Hangover, (500) Days of Summer and Inglourious Basterds put together (they are my three most watched movies ever, and trust me, I've seen them A LOT!). Yay! We have the principle storyline for the movie! No more ideas: just dreams. "We create the world of the dream. We bring the subject into that dream, and they fill it with all of their secrets." "And then you break in and steal it?" "Well, it's not strictly speaking legal." More dream like states, a bit more confusion. Still, you get the idea, right? Now we know what 'Inception' is, let the fun begin. There is still the evidence gathered from the teaser trailer: defying gravity, vibrating glasses of water and such. Instead of looking like Titanic it's starting to look very much like The Matrix. But that's what everyone thinks. "I think I've found a way home...and this last job is how I get there." My goodness Marion Cotillard is painfully beautiful. What I'm thinking is that Cobb has lost his wife through this 'inception' business and goes to visit her via dreams, but maybe he can get her back? This is what I love about Christopher Nolan's films, he has a bit of romance in it, but not to much because he doesn't like making the audience feel uncomfortable. "Dreams feel real when we're in them, it's only when we wake up we realise that something was actually strange." Couldn't agree more. I always wonder what happens while I'm dreaming, and why I am dreaming about that particular situation. "This was your responsibility! You are not prepared for this!" Okay, here we go. Is Joseph the ignorant male or the villain of this story? Either way, it looks like he's picked up a really great character, and the audience will be like (500) Days of what?? "I have it under control." "I'd hate to see it out of control." So would I. This movie needs control otherwise it will turn out to be a big sci-fi disaster just like 2012 or maybe Plan 9 from Outer Space. Joking. Master Nolan has everything under control. "You musn't be afraid to dream a little bigger darling." My favourite line from the whole trailer. Famous last words too. Couldn't have thought of a better way to end the most epic trailer of all time. So what do we think? 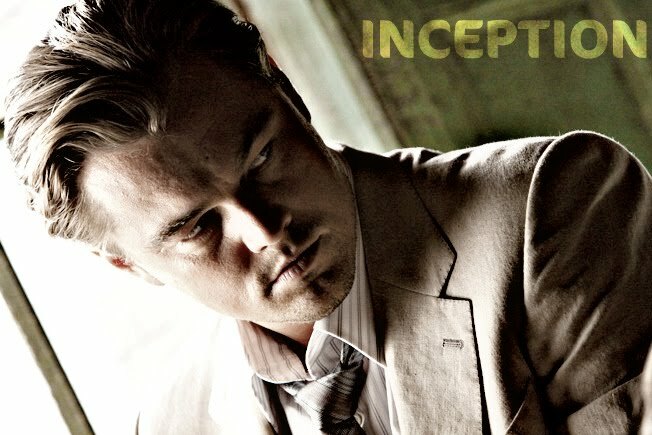 Could Inception become the biggest and best blockbuster ever? I sure hope so, because the trailers promise so much! Oh an by the way, like many people, if you were wondering what the music was in the last trailer, it is called 'Mind Heist' by Zack Hamsey. A truly amazing piece of music! Hope you have marked your calendars for Inception's release date!